Google brings themselves into the competitive arena with their first inside-out attempt in launching their own Smartphones in the form of Pixel. It is indeed a breakaway from partnering mobile handset partners in bringing forth the best Android experience. Thus they amalgamated hardware and software design under one roof. It is thus an official end to Google’s signature Nexus series. Pixel has a carefully carved surface and edges are rounded to make it easy to grip. It also includes 2.5D Corning® Gorilla® Glass 4 on the front display and back glass, so that to accent the aerospace grade aluminium body. The Pixel thus has a 5.0 inch FHD display and the bigger Pixel XL spots 5.5 inch QHD display. The glass on the back also features Pixel imprint which is its finger print sensor and placed on the back of the phone where your finger anticipates it. The user can swipe it to access his notifications. Both Smartphones will rely on the Snapdragon 821 clocked at 2.15GHz. It is of 4GB RAM as opposed to 2GB RAM in its predecessor. Google claims Pixel’s camera as the highest rated one which anyone has ever made. They claim with proof of DxOMark Mobile score of 89, when great hardware meets great software. Pixel has a cutting-edge computational photography in an ultra-fast and easy to use camera. It is of 12.3 MP with f/2.0, 1.55um, Optical Image Stabilization and 4K video recording. The secondary cam shapes up in an 8MP sensor. It allows you to take stunning photos in low light, bright light or any light. It offers a Smartburst which allows a rapid fire series of shots and select the best one out of it automatically. Lens Blur will achieve shallow depth of field and bokeh effects. The new exposure controls will allow you to capture dramatic landscapes with all its panoramic elegance. Above all, it offers free unlimited storage for original quality photos and videos at full resolution in Google Photos. Google Pixel has been backed up by a 2,700mAh battery pack and supports fast charging while the Pixel XL is backed up by a larger 3,450mAh battery. It claims a fast charging feature which offers about 7 hours of battery life. Google Pixel offers more to love for it runs on the latest Android 7.1 Nougat. Software and security updates will be made available as soon as and directly from Google. The update process is also made ease and handy with the new Pixel. It can be downloaded and installed in background. Pixel also comes up with Google Duo and Allo pre-installed so that video call and texting with all your friends are possible despite of the fact that whether they are on Android or iOS. Other features include NFC, USB Type-C and a standard 3.5mm headphone jack. Pixel is interesting for it is the first phone with the Google Assistant built in. Assistant will provide you answers for your queries and allows a natural conversation. By Saying “Ok Google” or by touching or holding Home button your assistant will be ready to help. It can also help you with what is on-screen in any app. The assistant is based on AI framework and it also offers a background update. Pixel comes in two sizes and three colours: Very silver, Quite Black and a limited edition US version, Really Blue. They offers also variety of cases to match and customised live cases and exclusively designed art collections. 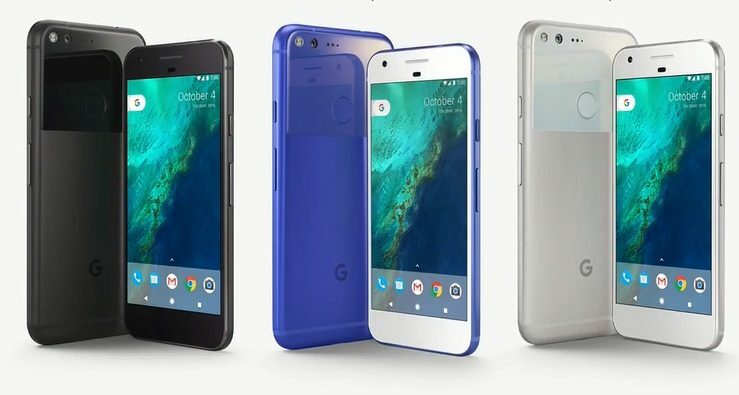 Pixel has been made available in Pre-Order in US, UK, Canada, Germany and Australia, and in India by October 13, starting at $649. In US Google is teaming up with Verizon to make it available nationwide and is also can be unlocked via Google store, Flipkart, Reliance Digital, Croma, Rogers and Telstra.